Water is one of the world’s most precious resources. Not only does water sustain life, it also upholds agriculture, health and hygiene, manufacturing, and recreation. However, the sad truth is that we have a world water crisis; 2.1 billion people are living without safe water at home and around 4 billion people (two thirds of the world’s population) experience severe water scarcity during at least one month of the year. Between safety and scarcity, it is time to act—especially in the retail industry—to protect and preserve our water resources and the people that depend on them. Retail has a dark history of contributing to the world water crisis. An unfortunate fact is that retail is the second largest industry in mass waste and pollution. Synthetic materials are one of the most significant pollutants in the industry. As recently as last year, an investigation of Asian factories supplying rayon material for well-known brands found toxic chemicals leaking into the river and atmosphere nearby. The chemical, known as viscose, is linked to cancer and death. Additionally, synthetic fibers like polyester, nylon, and acrylic shed tiny microplastic fibers every time we wash our clothes. Too small to catch in our lint traps, these less than 5-millimeter-long fibers find their ways into our oceans. It is hard to predict the impacts of these fibers, but they have been found in the stomachs of 73% of fish caught at mid-ocean depths in the Northwest Atlantic Ocean, making their way into the food chain. In addition to pollution from artificial materials, the amount of water used in production is astounding. It takes 2,720 liters of water to manufacture a t-shirt, and 200 gallons of water to make one pair of jeans. This is the amount of water a typical person drinks in 3 years, and the volume of water used in 285 showers. The textile industry is completely dependent on water, as it is used in almost every step of manufacturing. Dyes and chemicals are applied to textiles in water baths, using a massive volume of water daily. In fact, the textile industry in India alone uses 425 million gallons of water every single day. Due to less stringent regulations in the developing world, much of the waste water is dumped directly into local rivers and waterways. 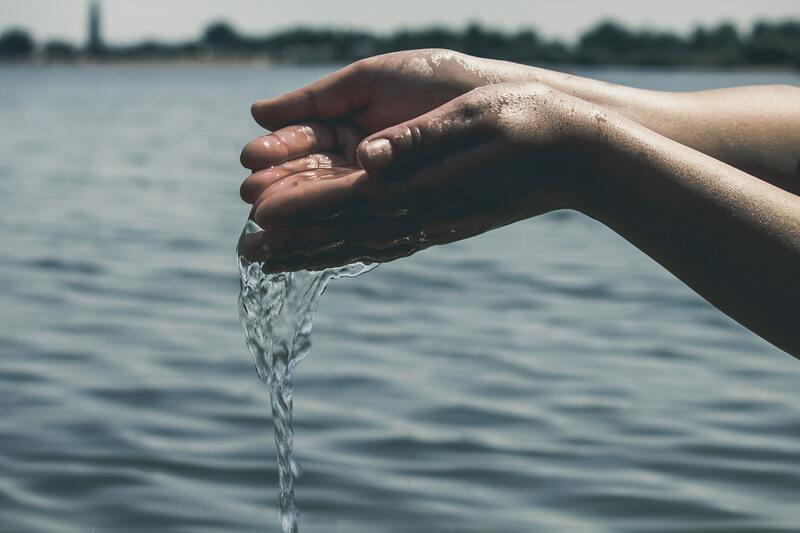 The world water crisis is real, and many retailers are making strides to reduce their negative impact. Brands are ramping up their use of sustainable cotton. A quality fiber, sustainable cotton eliminates the use of toxic chemicals that lead to air, soil, and water pollution. Representatives from companies including Marks & Spencer and Levi Strauss are helping to guide the Textile Exchange in its efforts to increase growth and adoption of sustainable cotton. While cotton does require a significant amount of water to produce, switching to sustainable materials cuts out harmful chemicals and microplastic fibers in our oceans and waterways. Patagonia has long championed its mission to save our home planet. In doing so, Patagonia has taken the microplastic fiber problem head on with research and grants. They have conducted two scientific research studies, and continue to investigate ways to minimize fiber shedding with improved fabric construction. While they acknowledge microplastic shedding is still a real issue for their garments, they have created a “guppy friend,” a 100% recyclable bag that catches garment fibers in the wash. They continue to research fabric alternatives and recommend other filtration products to protect the environment against synthetic fibers. Our CEO Greg Petro recently wrote about Upcycling on Forbes—which is reusing discarded materials and fabrics to create a product that is even more highly valued than the original. He mentions Tommy Hilfiger, who is set to launch a 100% Recycled cotton jean program this Spring. The jeans are made with pre-consumer organic cotton straps and sewn together through a process that requires less water and chemicals than typical manufacturing. Giving clothing a second life is a way to reduce waste and excess production, and millennials are fueling the growth of this trend. As a bargain-hungry generation that cares about sustainability and the environment, millennials are thrifting more than any other generation. Companies that sell secondhand like ThredUp and Luxury Garage Sale are rising to the occasion to target millennials. While it is still early to determine Generation Z’s future buying behaviors, there are rumblings they will strengthen the sustainability trend. This is good news for the environment, as resale and secondhand are not going anywhere anytime soon. One way to reduce harm to the environment is to reduce excess inventory and waste. The apparel industry spends nearly $7 billion each year on physical samples—leading to more production and product waste. Many of these samples are products that never make it to the store shelf or rack. With 3D Computer Aided Designs (CADs), retailers can eliminate their physical samples all together. We test CADs regularly through our platform and can predict the product success and pricing with accuracy, despite the lack of a physical sample. Our customers who do this report significant savings of both resources and time. Many retailers like Crocs and rue21 are using predictive analytics and artificial intelligence to guide their product decisions. With the use of our Insight Suite, brands and retailers are choosing the right products that their customers will buy, increasing sell-through by using pricing recommendations based on projections, and consequently reducing markdowns and waste. The world water crisis requires a global effort to support sustainable water practices even beyond the retail industry. Consumers can support the effort by purchasing higher quality clothing that does not shed as many microplastic fibers, keeping clothes longer, only washing when necessary, and buying from companies that support sustainable practices. Many consumers are already mindful of sustainability. A RILA study has shown that 93% of global consumers expect the brands they buy to support social and environmental issues. Retailers are following suit because sustainability drives market growth in consumer goods. We expect to see even more sustainable innovations and campaigns in the coming year. Let’s work together to raise awareness on World Water Day 2019, and remember that water is the most precious resource to everyone on earth. Visit World Water Day.org for more information.